On January 26, 2013, I convinced my brother to start a blog with me to better display progress on our projects. If you followed along back then, you may remember it being called Italian Brother's Legacy. We have come a long way. I especially have learned a lot about gardening, homebrewing, managing a website, and life in general from doing this. Many improvements have been made to my original setups, all for the better. But not everything has gone as planned with us; there have been many unfortunate accidents that occurred during projects (luckily, no one was ever injured). We build upon these mistakes and do better next time. I grew up not liking many fruits and vegetables as a kid. I refused to eat anything that wasn't bread or meat. That was some of the inspiration behind growing the garden: my taste buds needed to change. But I still think my main reason for doing it all was because I liked to see things go from seed to giant green mass of foliage. I have made many improvements to all of my grow areas, mostly with scavenged materials. Some of my better upgrades include the sub irrigated planters, red bin irrigation systems, pea trellis, and larger containers to plant things in. I have discovered what grows well and what does not grow well in containers with only east facing sun for half of a day. 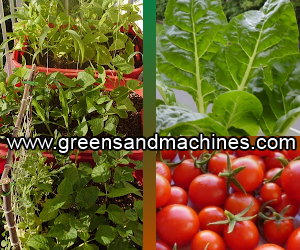 In particular, cherry tomatoes, Swiss chard, bok choy, cabbage, lettuce, and cucumbers all do pretty well. If I can do it with this low of light, you can too. I have discovered what doesn't work too well for a balcony garden in my climate. 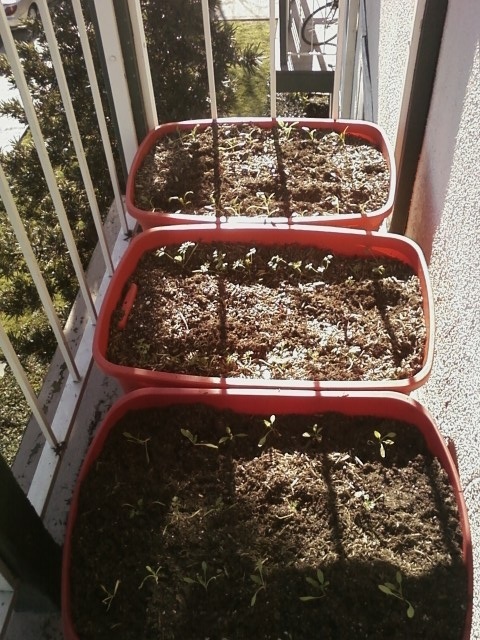 Some of my less successful projects include trying to grow corn, carrots, and spinach. Corn never had enough space or light, carrots were harvested too early, and the rapidly changing climate caused all my spinach to bolt prematurely. But my least successful project has got to be the wormbin. I never followed up on it, but I ended up relocating it to a larger bin on my lower balcony. This was after a bunch of fruit flies invaded my house due to rotting bananas. The worms ended up all dying in the summer heat. So there is not much left from that composting adventure. Being able to use my downstairs balcony to grow plants using hydroponics has been one of my cooler successes. My first planting of tomatoes and cucumbers didn't yield too much fruit, but it taught me lessons in trellising, oxygen supply, and pollination. I've since upgraded the system to include aeration, which removes many of faults of the original design. 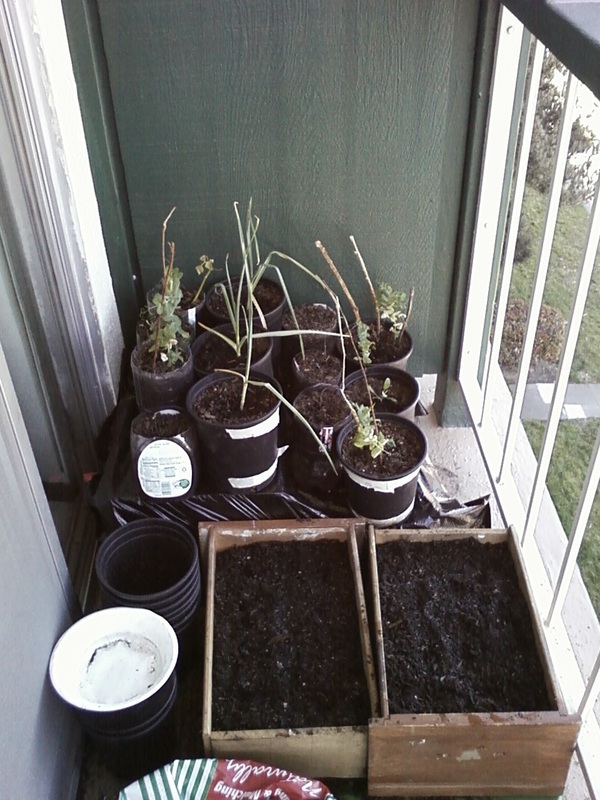 For the next 6 months, I plan to grow shorter term crops as the time I have left living in this apartment is limited. I think I'll be able to keep some of the more important equipment and bring it with me to my next living place, but it's questionable. See more projects in The Garden. With 2013 came the beginning of homebrewing in the apartment. From my start back home with grape juice concentrate and bread yeast, I can say I've come a long way. Before we acquired equipment to make beer with, I started out by fermenting grape juice concentrate and apple juice to make wine and hard cider respectively. Despite having equipment to make beer now, I still plan to make more wine and cider, but I will be doing so mostly in small batches to reserve my larger fermenters for beer production. 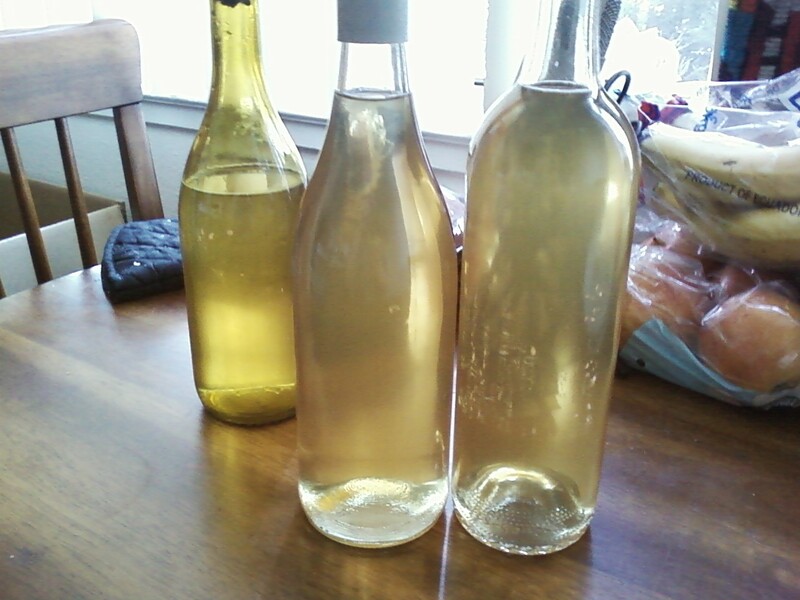 Once spring hit, I had to acknowledge the agreement I made with my roommate we made after he tried the wine: brew beer. After reading up the process, building and buying equipment, we made our first extract brew: a stout. We were impressed with the results, but we knew we could do better than that. From there we made a second extract brew, a rye IPA, inspired by Sierra Nevada's seasonal Ruthless Rye IPA. This one was much tastier. We decided to take things up a notch for our next batch and tried doing all grain brewing. We heard about brew in a bag (BIAB), and we crafted up a simple recipe to give it a shot. Our third beer was a hopped up pale ale made exclusively with centennial hops. From this success, we got ambitious and tried going for a larger grain bill by creating a Baltic Porter. That is when our first disaster struck. Anything that could have gone wrong did: the grain bag ripped during production and the beer got infected. We promised ourselves that we would not allow another infection in any of our batches of beer. To combat the threat of microorganisms, we went the distance and bought some Star San, phosphoric acid based sanitizer. We have had no problems since we started using it. Additionally, a new setup was built to better handle all grain brewing; we built a lauter tun. Although we haven't gotten good conversion with our new lauter tun yet, we are blaming a poor mashing for the poor starch conversion. We only mashed the two beers we made with this method for 1 hour instead of at least 90 minutes. The two beers we have made from this method, a brown ale and an IPA, had low original gravity. Despite this, they are both very tasty, so we hope to stick with this method. The next 6 months for the homebrewing include making more beer with the lauter tun. I think our next batch (which we will make this Saturday) will be an attempt at a vanilla porter. With a three way split, I am not worried that I will have too much beer that I cannot drink by the time I must leave. If it comes down to it, it's not hard to give away free beer. Whether you build it or buy it, a homebrewing setup is expensive. I don't know how much of my homebrewing equipment I'll be able to bring with me to my next living space, but I hope that I can bring the more important pieces. I can settle going back to extract for a while, but I would love to be able to all grain wherever I end up living. See all homebrewing related projects at The Brewery. 2013 for us was a good year. We hope that 2014 will bring us even more success than last year. I only have until June until I graduate so I hope to make the most of living here. We'd like to thank all who followed along on our journey so far and all who were inspired to start a new hobby within the last year. Stay tuned as there is more to come! For my brother's top machining posts of 2013, see Scrap Attack: Best of 2013. Follow us on any of the other social networks we are on using the links at the top of the sidebar.